Why not add an inner tube!!! 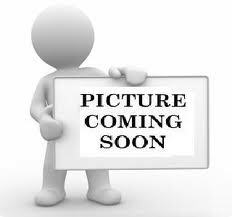 These can be found on our Wheel Accessories Tab! SP0009A Currently out of Stock! Kyoto 80/100 Front 21" Tyre. 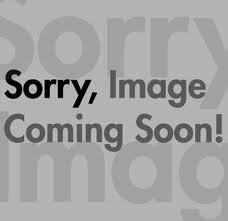 SP0009B Currently out of stock! Kyoto 110/100 18" Rear Tyre. 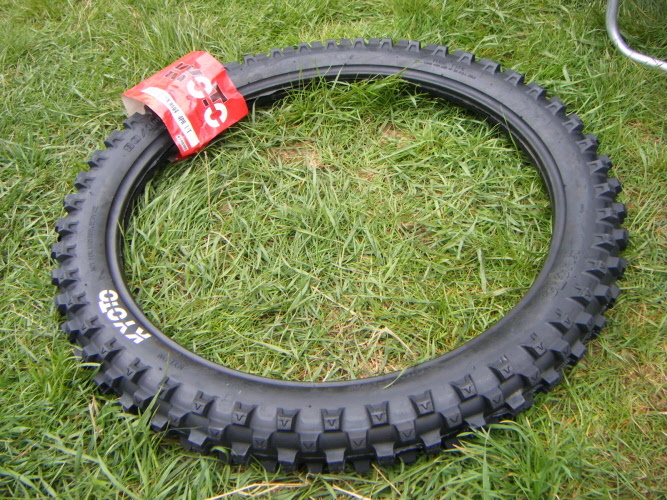 Maxxis 100-90 Max Cross IT Pro 19" Rear tyre. SP0009D Currently out of stock! Kyoto 110/90 19" Rear tyre. 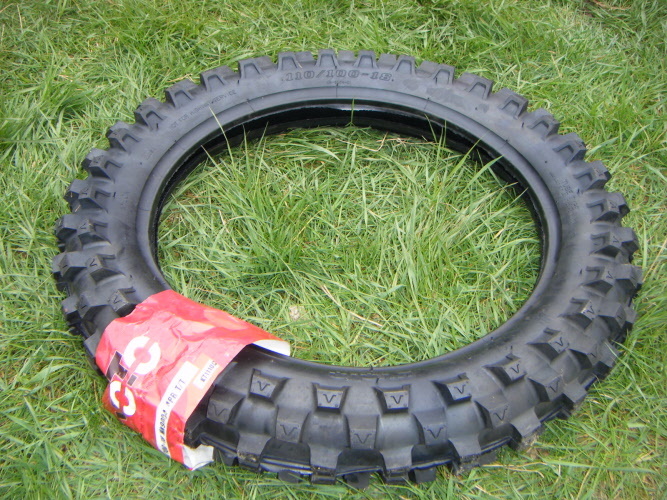 Trials winner TR-011 18" Rear Tyre. 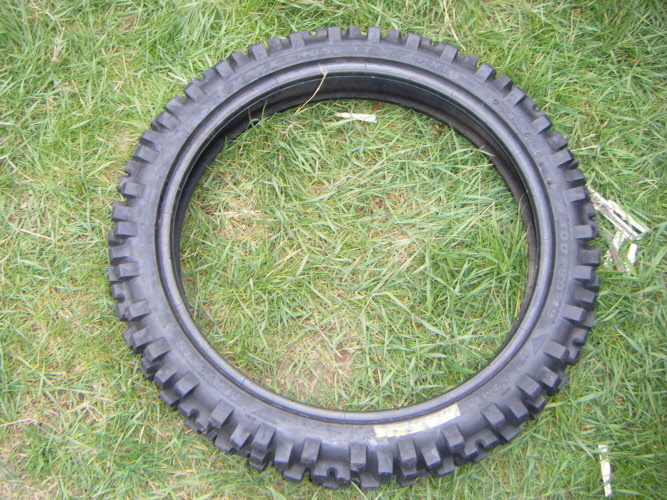 Rear Pirelli Motorcross tyre 100x100x18". 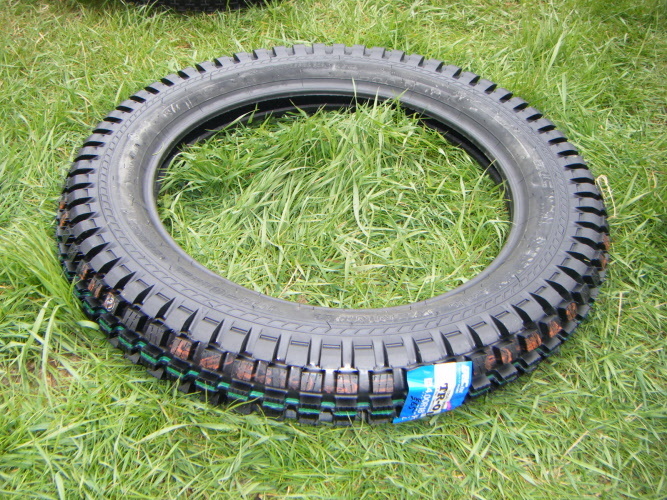 This tyre has a narrow section, ideal for Hawkstones and challengers.